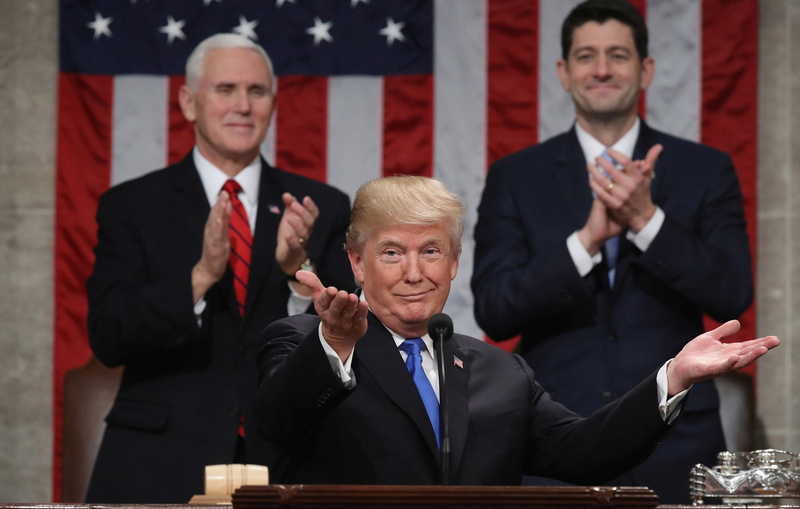 The White House revealed the theme and some plans for President Donald Trump’s upcoming State of the Union address, in a briefing to reporters Friday afternoon. At the same time, the world is not doing well and we’re going great. You look at the numbers, we’re hitting highs. I get no credit for it. It’s like, when do you ever hear them talking about — we just hit 25,000 and you won’t even hear a thing about it. If President Obama were there — and don’t forget, he was paying no interest. We’re actually paying interest. You know, he was paying no interest. He didn’t have liquidity being drained out of the market in order to pay down, which we have. How about $50 billion a month? $50 billion a month. If I had a no-interest, no-liquidity situation with respect to the market, I mean, forget it. It would actually be incredible the numbers. Big difference. Tremendous difference.